Professional bakeries began appearing in Italy around the 2nd century BC. Schools were put in place to teach technique to aspiring bakers. While Italian desserts today feature many unique ingredients, desserts in earlier times were very plain. Sugar wasn’t introduced until the Middle Ages and chocolate came to Italy in the 16th century. Different desserts were born for different reasons in Italy. Some dry cookie-like desserts were thought to be made for sailors who needed long lasting food items to take on their voyages. Other more elaborate desserts were created to commemorate important historic events or holidays in Italy. Many of these recipes have been passed down through families for generations. Great care is taken to preserve their traditional characteristics. Across Italy, regional variations to desserts can be found. From biscotti and amaretti, to the elaborate creations such as tiramisù, pandoro, and panettone, the Italians are in no shortage for confectionary creativity. Italian desserts, candy, and chocolate are in a class of their own. Amaretti – These small cookies made from sugar, flour, eggs, and Amaretto (replacing the original almond ingredient) have a unique history. Legend has it; a baker and his fiancée gathered all of the ingredients and developed a special gift for the visiting Cardinal of Milan in the 1700s. It was a tradition to provide sweets for the Cardinal and this time was no exception. The amaretti cookies pleased the Cardinal and he soon became a regular to their bakery. The tops of amaretti are sprinkled with crystalline sugar. Aranci in Salsa di Marsala – This is a light and colorful Italian dessert combining fresh oranges, crushed Amaretti cookies, honey, mint sprigs, and Marsala wine. The oranges are peeled and separated at the top but left joined on the bottom so they can be opened up like flowers. A warm blend of honey and Marsala wine is poured over the orange flower. Finally, crushed Amaretti cookies and mint sprigs are used to garnish the finished creation. Bigné di San Giuseppe – Light, puffy pastries from Rome that are typically baked in the weeks prior to St. Joseph’s day, March 19. These pastries are deep fried and stuffed with cream. A final topping of powdered sugar is applied before the pastry is complete. Biscotti – Small, dry, crumbly sweet pastries that are twice-baked in the oven to remove moisture are known to Italians as biscotti. These cookie-like pastries were particularly popular among sailors due to their long shelf-lives. Biscotti often make use of fruits and nuts as aids to their flavor. Italians love to dip their biscotti in wine; flavoring and softening the cookie at the same time. Biscotti dei Fantasmi – A relatively recent Italian creation revolving around the American holiday of Halloween. Biscotti dei Fantasmi are known for their ginger flavor and ghost-like shape. Brutti ma Buoni – A traditional Tuscan cookie, roughly translating to “ugly but good”. The cookies aren’t pretty but are highly regarded for their delicious flavor. Almonds, hazelnuts, pine nuts, amaretto, oranges, and more can be found in a Brutti ma Buoni recipe. Canestrelli – These are doughnut-like desserts originally from the Monferrato area. The desserts have a decorated edge, in shortbread or almond paste. Canestrelli are covered in powdered sugar upon coming out of the oven. Cannoli – Powdered sugar and ricotta cheese or mascarpone fill these fried pastry-dough tubes from Sicily. The filling is usually blended with chocolate, vanilla, rosewater, pistachio, or Marsala wine for flavoring. Cannoli can also be served completely dipped in chocolate. Cantuccini – Oil, anise and almonds fill these sweet, twice-baked Italian biscuits from the town of Prato, near Florence. Slices are cut from the loaf and then baked once again to harden them. Cantuccini are often dipped in wine, coffee or any other after dinner beverage for softening. Cassata – This Sicilian dessert makes use of fruit juices or liqueur which are soaked into a moist sponge cake. Next, cassata is layered with candied peel, ricotta cheese, and a cannoli-like filling of chocolate or vanilla. Traditionally, cassata is then covered in marzipan and pastel-green icing. Candied fruits are placed on top of the finished cassata. Cassata can have a summertime variation, substituting refreshing gelato for the ricotta filling. Cavallucci – These rich Christmas pastries are flavored with anise, and known for their chewy texture. Tuscan honey, coriander, candied fruits, almonds and flour make up the list of ingredients for Cavallucci. The name most likely originated in 16th century Siena, where the pastries were served to stable-workers by rich aristocrats. Cavallucci literally means “little horses”. Cenci alla Fiorentina – A fried Tuscan pastry known for a delicious lemon flavor. The recipe is traditionally very basic and uses no nuts or chocolate. Oranges may be substituted for the lemon flavoring. The dough is tied into “love knots” before frying. Upon finish, Cenci alla Fiorentina are sprinkled lightly with confectioner’s sugar. Cioccolatini – Italian assorted chocolate are in a class of-their-own. Baci, Italy’s most popular chocolate candy is a mixture of crushed hazelnuts and chocolate. Boeri is another popular chocolate candy in Italy; it consists of a brandied cherry inside rich, dark chocolate. Cioccolatini range in size, shape, texture, color and filling. Italians are free to use their culinary creativity in the world of cioccolatini. Colomba – Flour, sugar, egg yolk, milk, butter, almonds and orange peel combine to create this Italian dove-shaped cake. Legend tells that the Milanesi witnessed three doves fly from a church during their struggle against the Barbarossa at the Battle of Legnano. They believed it was this event that sparked their victory over the Barbarossa. The Milanesi celebrated throughout the years by eating the Colomba cake, with its delicate texture and golden crust. Confetti – The traditional candy of Italian family celebrations. Confetti are candy-coated almonds; the shell comes from a sugar-syrup. The color of the confetti is very significant. Families will give white confetti for weddings, red for graduations, pink and blue for births, and many other variations. Abruzzo and Campania produce the majority of Italy’s confetti. Crostata – A pie-like Italian dessert traditionally filled with items like cherry, apricot, berry, and peach jams, crema pasticciera, fresh fruit, or a blended ricotta and cocoa or sugar filling. Crostata typically has a rough appearance, and is not perfectly circular. Frappe – This Carnevale tradition uses the same dough as cannoli. The difference is, the dough is cut into strips and tied into knots much like Cenci alla Fiorentina. The strips are fried and lightly topped with confectioner’s sugar. Génoise – Named after Genoa, this sponge cake is known for its dry texture. Because of this, the cake is commonly soaked in liqueurs. Butter-cream frosting is a very common addition. Although being fairly lean, Génoise is made with whole eggs. Gianduiotti – This is Italian chocolate of truly elite status. Gianduiotti, a mixture of milk, sugar, cocoa and Piedmontese hazelnuts, was hailed as the world’s finest chocolate at the 1865 Carnival of Turin. In fact, the chocolate was held in such high regard that it was given the honor of being named after the Masque of Turin; Gianduja. Krumiri – Piedmontese cookie sticks made from flour, butter and honey. Krumiri are striped and somewhat curved. Liquirizia – Italian licorice is produced in strands, drops, confetti, and many other varieties. This candy is known to have some fantastic health benefits including soothing sore throats, reducing coughing, hoarseness, and helping to cure ulcers. Marron Glacé – Cook Italian chestnuts in sugar syrup and reap the rewards. Marron Glacé are soft, candied chestnuts used primarily for gift giving due to their low production. Nociata – This is a walnut and honey dessert from the Lazio region of Italy. Around Christmastime each year, one will most likely find this sticky, cinnamon-flavored dessert throughout Rome. The finished product is served in tiny loaves. Ossa dei Morti Biscotti – These “bones of dead men” are traditionally served on All Souls Day. Italians are known to have picnics near the graves of loved ones on this day in a celebration of life, not death. Ossa dei Morti Biscotti are small, bone shaped cookies making use of cinnamon, clove, lemon, vanilla, almond, and many other flavors. Pan di Spagna – An Italian sponge cake known for its vast array of uses. Pan di Spagna is the basis for many Italian desserts including layer cakes, roll cakes, and more. Many enjoy Pan di Spagna alone for its simple, delicious flavor and spongy texture. Panettone – Native to Milan, Panettone is one of the two Italian sweet yeast breads served mainly on Christmas day. Acidic dough used to make Panettone is cured before being shaped into a cupola which extends from a cylindrical base. Raisins, candied orange, citron, and lemon zest are added to the bread for flavoring. Regional variations for Panettone include serving with Crema di Mascarpone, or chocolate. Panforte – A Tuscan fruit cake-like dessert making use of various fruits and nuts. Historical evidence refers to Crusaders carrying this hearty dessert for nourishment, and perhaps to satisfy their sweet tooth. The literal translation of panforte is “strong bread”, which refers to the spicy flavor of the dessert. Siena is thought to be the home of panforte. Panna Cotta – A dessert of Piedmontese origins, Panna cotta is made by dissolving unflavored gelatin in milk, then whisking the milk into sweetened heavy cream (sweetened with confectioner’s sugar and vanilla extract). Panna cotta is refrigerated and served with a caramel or strawberry topping. Pan Pepato – Pan pepato is often referred to as an Italian chocolate gingerbread. Raisins, almonds, walnuts, hazelnuts, candied fruit, chocolate, cinnamon, amaretto, honey, nutmeg, and the characteristic black pepper combine to give this dessert its spicy flavor. This cake from Ferrara is typically served around Christmastime and New Year’s. Pastiera – This traditional Neapolitan cake is made by mixing ricotta cheese with eggs. Flower scented water is typically added, giving pastiera its characteristic floral aroma. A version of pastiera includes an addition of thick cream, which softens the cake. This fragile cake is traditionally baked for Easter. Pignolata – This soft, Sicilian pastry is presented in small pieces and can serve many people. One half of pignolata is covered in lemon-flavored icing while the other half is covered in chocolate. Pizzella – Native to Abruzzo, this waffle-like cookie that varies between crisp and crunchy or soft and chewy depending on ingredients. Traditional flavorings include anise, vanilla, and lemon zest. A pizzelle iron is used in cooking the dessert, giving it a characteristic snowflake pattern. Pizzella are commonly used to create a dessert sandwich with cannoli cream or hazelnut spread as a filling. Pizzella in Lazio are known as ferratelle and as cancelle in Molise. Ricciarelli – Crushed almonds, sugar and honey comprise these crunchy, diamond-shaped cookies from Italy. Ricciarelli are a favorite around celebrations and gatherings. Variations to the original recipe leave Ricciarelli coated in powdered sugar or frosted with chocolate. Savoiardi – Flour, sugar, eggs, and butter are the simple ingredients of this Italian sponge cake native to Valle d’Aosta. Savoiardi is cut into slivers, leaving a crisp and golden crust around moist cake. Savoiardi is used to prepare tiramisu, and is also commonly eaten with Italian creams and sorbetti. Sfogliatelle – These Italian pastries from the province of Salerno come in the form of a cone or shell with a layered texture. Typically, an orange-flavored ricotta filling is used. Variations include almond paste or candied peel fillings. Sfogliatine – This cream-filled cookie from Venice comes in disc, rectangular, and fan shapes. Spumoni – Fruits and nuts can usually be found in this molded Italian ice cream of varying layers of color and flavor. Chocolate and pistachio are the two most common flavors used in spumoni. A layer of whipped cream, fruit and nuts usually separates the varying flavors of ice cream. Cherry bits are a traditional addition. Spumoni is originally from Naples, and spawned the popular Neapolitan ice cream. Struffoli – Originated in Naples, struffoli consists of marble-sized deep-fried dough balls. Struffoli are served warm with honey containing chopped nuts and orange peel. Tiramisù – Espresso-dipped savoiardi is layered with egg yolk, sugar, and mascarpone or zabaglione to make this ultra-popular Italian dessert. Cocoa is sprinkled on top of the finished product. Sugar and liquor are optional in the dipping process. Tiramisù is a fairly recent creation; first produced in 1971. Torrone – Ancient Romans regarded Torrone as a Godly offering. The honey, almond and albumen creation has many regional variations including the Campania version flavored with Strega liqueur. Hazelnuts, pistachios, and chocolate are common modern-day additions to Torrone. Note: Torrone gets its name from the Torione tower in the city of Cremona, which was given as a gift to Francesco Sforza from the father of Bianca Maria Visconti on their wedding day. Zabaglione – This dessert sauce consists of egg yolk, sugar, and Marsala wine. The custard-like sauce is whipped; the result is a higher air content. Honey was an original ingredient but was replaced with sugar. Cream, mascarpone, or whole eggs are acceptable additions to the ingredient list. Italians serve figs with Zabaglione. Zeppole – Custard, jelly, butter and honey, or cannoli cream typically fill these deep fried, sugar-coated dough balls served on St. Joseph’s Day. Zeppole are characteristically light and airy, but are sometimes created in a more dense version. Savory varieties of Zeppole are often stuffed with anchovy. Zuccotto – This Italian sponge cake dessert from Florence is typically flavored with brandy and layered with chilled cream. Zuccotto is traditionally made in a pumpkin-shaped mold. Zuppa Inglese – A custard-based Italian dessert. Zuppa Inglese consists of Pan di Spagna dipped in Alchermes liquor, and covered in crema pasticciera. Crema alla cioccolata is also a common ingredient, layered between the cakes. To finalize Zuppa Inglese, whipped cream and crushed almonds are typically applied as a topping. I don’t know if this is what you meant when you said to send in any ideas, but I think it would be nice if there were pictures of each of the desserts. Thanks for the list and descriptions. Yes. Thanks. We’ll work on photos. Ed, Everything sounds sooo good, but as the last post said, some pictures would be REALLY REALLY HELPFUL. I’m searching for the “real” name of a cake I used to make over 20 years ago while employed at Romanos ITALIAN Bakery in Milford C T.
I agree with one of the comments, it would be nice if we could view WHAT the desert/cookie looks like so at least we will know & understand if we are making the item the correct way, just sayin!!! @Joe, I’m with you, but good luck finding 99% of these, even in a high end Italian restaurant. My mouth is drooling for some good biscotti. Squirrel, I lived in Sicily for 30 years of my life and sounds like you are talking about our traditional sicilian birthday cake. The sponge cake is the Pan di Spagna that we soak in some alcoholic liquid ( usually is Vermout). The vanilla pudding is called Crema Pasticciera that is a very rich egg based cream so sometime we use instead crema chantilly which is the same crema Pasticciera mixed with some whipped cream. Usually we add diced or mini strawberries to the cream. And then like you said it is frosted with whipped cream and finished with pistachio or hazelnuts on the sides. My italian grandmother used to make two things that I cannot locate anywhere in stores or online. Maybe someone can help. First, a pastry that was round/spiral that had different layers. Almost looked like a breakfast roll or cinnamon roll. But, this pastry she made was with dough and had raisins, walnuts all in between the spirals. The end result was probably about 4 to 6 inches wide. Second dessert was made of dough too. Pretty sure it had a little wine it and was fried and then finished in a coating of honey. They looked like little barrels maybe an inch or two in length and kind of thick. Thanks Dino. Where in Italy was she from? Did you ever discover the name of the second dessert mentioned in this comment (dough balls with honey)? I’m looking for it as well. Struffoli are dough balls covered in honey but I don’t know if my uncle put wine in them. I just came across this site. And I realize I’m 2 years late but the name of the honey ball dessert is possibly Pinulada. Hope this helps! I too am second generation Italian and I am always looking for and interested in traditional Italian food. Thanks for all the great information. Love the website. I am looking for a recipe for a pastry my mother called cherry pita. It had yeast in the dough which was bottom layer, then you Made a thickened layer using canned cherries, drizzled this with a powdered sugar glaze and sprinkled with chopped walnuts. You could also use pineapple. She made it every year at Christmas and the recipe is not clear. Thanks for any help. Great list, but the ONE I am searching for is not mentioned. In the more simple coffee shops and even at the street vendors outside the coliseum, there is a dense pastry filled with what tasted like crumbly chocolate and crushed hazelnuts. They call it a “Napolitano”. The pastry was heavy and fairly solid. The top had chocolate glaze spread on it. The shape is oblong – approx 5-6″ in length. I’m hoping to find a recipe. I wish it would tell me more about the dessert Confetti. I’m doing a project on it and i need more research. Look online for Jordan almonds. That’s a trade name for confetti almonds.They were traditionally given as wedding favors. A simple square of net was filled, thent he sides were gathered up and tied with ribbon and a wedding couple tag. Hello, our family has my husbands grandmothers cookie press. It is not round like the ones for the pizzella but square. Looking in families Tuscany cookbooks (the region where they were from) I see a word referring to it as a schiacca and the cooked product as brigidino. Can you give me any insight to this. What do the cookies shaped like S’s and O’s mean? Why did the Italians select these specific letters? now that’s a good question! i will try to find out! No mystery there. Dough is easy to cut into strips and roll, then shape into S or O. Just a provincial shape, nothing more. Can you E-mail me and tell me what the pastry the TV show Soprano’s refers to….. It sounds like screw-ya-dell……they say throughout the seasons…..
it is probably sfogliatelle. they are triangle shaped, flaky pasty, with ricotta filling, from Naples! I am looking for a pastry that I used to get in Newark NJ. It looks like a little pie and they have a cross on top. Postachot???? amazing recipes! it would be better if there was pictures so i know what im cooking looks good! great but! history. You can try volunteering to bake cupcakes as your gift for the birthday celebration or come prepared by making a special gift of treats for the celebrant then handing out smaller portions for the party to enjoy. was large – so I was in heaven. Why hasn’t anyone mentioned the Italian pastry, Wandies. This pastry was most popular with Italian families in New England, mostly served at weddings. I’m trying to find out what that silky white and creamy milky cream is called that you often find in those butterfly shaped pastries, or cream puffs. It tastes sweet and milky, and it has a very white color to it. It’s the best but I can’t find a name for it. I was looking at a TV food channel and there they talked about a famous Italian dessert, “Spichata a la florentini?” it was a bread/flacky crust? filled with and orange creamy filling? I may have the spelling wrong. I’ve been searching for it so I can make that perhaps you may be able to help. I have heard of a talented young chef who died in Italy in the 1950s (traffic accident, I think) and who had developed an innovative and delicious cake. I don’t know his name but am wondering if anyone knows about this and whether the recipe exists for his cake? Hello & thank you for publishing this site! My family was from Avellino and my grandmother always made Easter cookies in the shape of the Sacred Heart with a hard boiled egg in the center with. Cross over it. I’d love to know what these are called. I thought she called them pignadellas but I can’t find that name in any list. Can you help? Recipe for crystals. They are tolled very thin. And deep fried for about 30-40 seconds. Then dusted with powdered sugar. Very light cookie. Does any one have a recipe ? Or is there another name for this cookie ? My Granndmother was from Bari. She made this amazing dessert only on Christmas. It was fried pieces of dough topped with a raisin syrup and then she topped it with sprinkles. I have the recipe and make it on Christmas,in honor of her.My problem is I can say the name of it but I know the spelling is incorrect, therefore and can’t look it up on line.l very rarely see desserts from Bari,although she made amazing things. how would you write the name? do the above fotos look familiar? First I like to express my sentiment to someone who seam to be proud to be Italian, such as I.
I’ve emigrated to Canada in 1953, was a young boy, nevertheless, have been and will be for ever ITALIAN. We are in Qc. 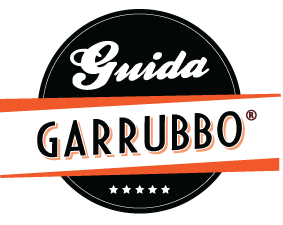 Canada and would like to start a new, five flavor spreads, Amaretto, Hazelnuts, Mocha, Tiramisu and Vanilla, we would like you use your pastries flavor and would like to know if your products are what we need. Therefore, we would need for an expert to help us in deciding and at the same time, would like to know what amount, Ozs. or grams we would need to make a 20 liters container. We would also like to have your best possible prices and if we can buy some samples, so we can proceed with the testing. My name is Giuseppe Trinci and thank you for your upcoming help. I’ve been looking for the name of a cookie that my Sicilian grandmother used to make. They are very simple. Eggs, cake flour and baking powder. The dough is rolled out and cut into shapes. It is then left out over night to dry out. The cookies are then baked for 10 minutes. They melt out one side slightly when baked. Hello my father passed away 7 years ago and since then my family and I have been trying to make these cookie/ pastry things he used to make. We’re having a hard time finding a recipe for them bc were unsure of the correct spelling. I was wondering if you could help me. All we can remember is there was chocolate candy bars I believe he used Hersey’s, honey, and some kind of nuts we think walnuts. He used to call it cosinet* again we don’t know how to spell it correctly. Is there an Italian pastry that looks a bit like a Napoleon but smaller and without cream? It has sliced almonds and powdered sugar on top. 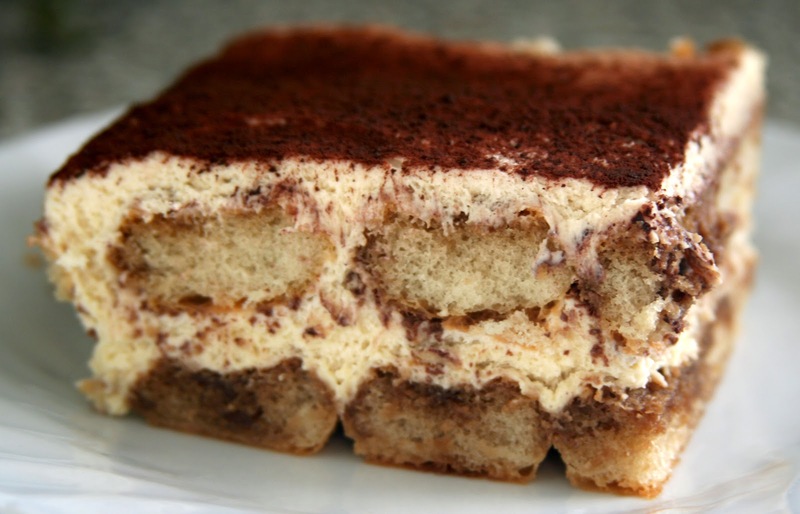 In Italy, a Millefoglia is a generic term for desserts that are layered with many thin layers. they can be filled with cream or ricotta, nuts, fruit — depending. I bet you are thinking of a version of this? When we were in Firenze a few years ago, we visited the Abbazia di San Miniato al Monte and stopped at the Farmacia monastica dell’Abbazia di San Miniato al Monte, where the monks sold Rose della Deserto cookies. We were surprised to find cookies made with corn flakes and inquired about them. The monk we spoke with told us that when the American GIs came to Italy, they donated a large amount of corn flakes to a convent to feed the poor. The nuns, who had never seen corn flakes before, did not know what to do with them, so they invented a cookie recipe: Rose della Deserto. They sold the cookies to the American GIs, who bought all they could, and the money went to help the poor. I have been trying to find out if this story has any truth (would a monk lie?!). I’m hoping you can shed some light on this whimsical tale of the origin of a great Italian cookie. Thanks! Italian pastry called Buonoff (spelled phonetically) ? Made with choux & Italian custard ? hmmmm. sounds like dialect. where’s it from? HI, does anyone here know of Italian Love Cake? I’ve grown up with it and am doing a school project to where I need some history on it but am not able to find much online, if anyone knows more about it I’d appreciate it! Hi. I dont. Sorry. what was it like? Love cake is either chocolate or marble cake with a ricotta filling baked in (sort of like cheesecake), then it generally has a chocolate whipped topping. I had a friend ask her dad who is from Italy, and I guess it’s more of an Italianized version of an American chocolate cake, but I still am not sure why it is called love cake.